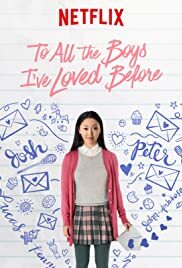 So yesterday was the day: To all the boys I’ve loved before was released on Netflix. What is it about, you might ask. It is an adaption, based on the YA novel by Jenny Han. The main character is Lara Jean, who wrote secret letters to past crushes which she never planned to actually send out. But when they are, her life suddenly becomes a lot more interesting, especially when Peter Kavinsky wants her to be his fake girlfriend to make his ex jealous. Hey, Lara Jean is amazing. I mean, her chaacter is cute and shy, but she knows her way around. She loves her family and friends and baking and accepts her Korean heritage. And can I just say that the actress, Lana Condor, plays that character really, really well? She brings Lara Jean to life. Lara Jean lives with her two sisters and dad after her mother died. And can we just take a moment to appreciate the wonderful family dynamic? Because there is so much love and cute banter and sisterly drama, having food together and being happy for each other. Everything. Is. So. Cute. Lara Jean? Cute! Peter? Cute! The rooms? Cute! Just. Everything. I want to hug this film and cuddle it. I think it would be very fluffy and cuddly if it was… something you could actually cuddle. But yeah, the relationships are really good. And the faces they always pull? 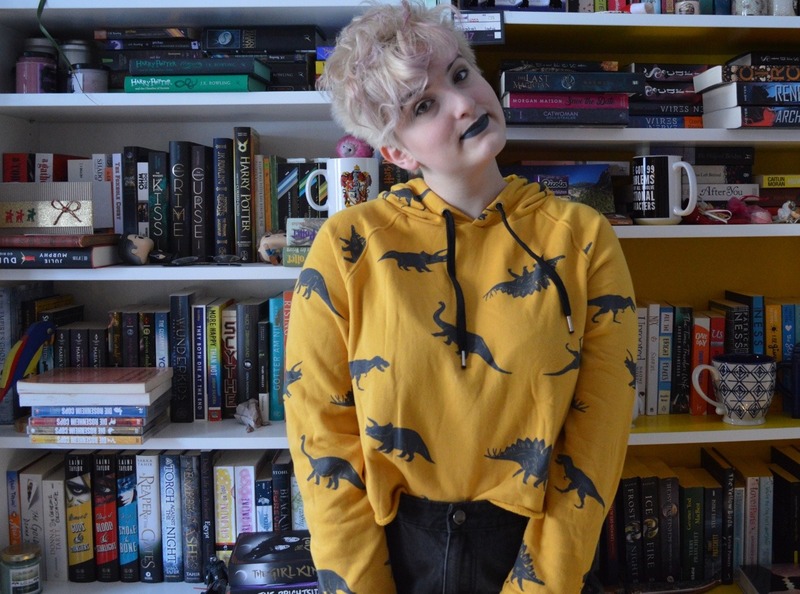 Little nose scrunches and awkward smiles and just….urgh, I love it. I don’t even know what to say, it’s just filmed so perfectly fitting to the story? I’ll just link this tweet here because it shows what I mean. Okay, to be honest it’s been a few years since I read the book, but from what I remember the movie came really close? Of course, some details and scenes were missing but all in all the important stuff was there and nothing essential was left out. Have you already watched this film? What did you think? I haven’t read the book (it has been on my wishlist for years but I never got around to actually buying it) so I can’t compare movie and book but I really enjoyed the movie. It was beautifully shot and I adored the characters. I have to say that I thought that Lara Jean would end up with Josh but I like her with Peter. And I was really happy that Josh and her could keep their friendship alive. So, yeah, I am totally with you and all your points! Well yeah, the fauxmance was a joke. But wasn’t that kind of the sense of it? Peter has been with her for quite a while, so it’s just understandable I think? And I also think he explained it really good in the book but I can’t remember urghhhhhh. I think it would be a bit weird if she would have ended up with Josh, as with her sister and everything? And I love Peter a lot, even though he is quite a dumbo sometimes. Ich meinte das mit dem Joke etwas anders. Ich hatte gelesen, dass viele wohl meinen, dass Peters Blackmailing von ihm erst nur als Scherz gemeint war. Dass er nur aus Spaß gesagt hat „wenn du nicht tust, als wärst du meine Freundin, dann erzähle ich allen von den Briefen“, sie also ursprünglich gar nicht erpressen wollte. Ich kann mich gerade nicht aktiv an die genaue Szene erinnern, aber ich bin auch der Meinung, dass er das beim ersten Mal mit einem Grinsen sagt, was dafür sprechen würde. Ich bin jetzt echt am überlegen, ob ich die Bücher nicht doch lesen soll. Sie standen so lange auf meiner Wunschliste, aber beim Aufräumen vor Kurzem sind sie geflogen. Aber der Film war schon echt süß und – soweit ich das gelesen habe – auch nah dran an der Vorlage. ohhhh ok dann habe ich dich falsch verstanden 😀 Huh, da müsste ich das jetzt nochmal anschauen, so genau kann ich mich da nicht dran erinnern… Aber ich denke nicht, dass er es je wirklich ernst gemeint hat.